Bleeding gums are NOT normal and should NOT be ignored! 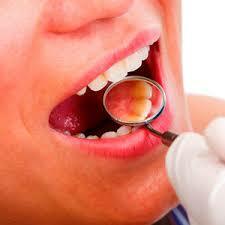 They could be a sign of gum disease caused by genetics and inadequate bacterial plaque removal. Bacterial plaque builds up along the gum line and causes the gums to be irritated and inflamed resulting in bleeding. Also, brushing too hard or with a new tooth brush may cause your gums to bleed. If your gums bleed, make an appointment to see your dental professional so that he may evaluate and prescribe your best treatment. In rare cases, bleeding gums can be an indication of a more serious health issue. PLEASE DO NOT IGNORE BLEEDING GUMS.